Editor’s note: The following is a response to a position paper from the Power Tool Institute in regards to SawStop founder Stephen Gass’s petition before the Consumer Products Safety Commission, published as a letter to the editor in the September 2011 issue of Woodshop News (“SawStop mandate would hurt woodworkers,” Page 7). Gass also provided Woodshop News with a supplemental document, “Response to the PTI’s ‘Facts about Table Saw Safety Standards’”, which provides references and support for the assertions made in the response below. It is available at www.woodshopnews.com. Most woodworkers are inventive by nature and I am no exception. A little over a decade ago I was in my shop and had an idea for a safer table saw. By the investment of lots of time and money, I turned that idea into SawStop — a saw that stops so quickly upon user contact it typically only results in a nick rather than a life-altering injury. Like all woodworkers, I knew saws were dangerous. What I didn’t know when I invented SawStop was exactly how dangerous they are. Then I learned that the U.S. Consumer Product Safety Commission tracks injuries nationwide on various products, including table saws. From the government data, I found out that 40,000 woodworkers are sent to an emergency room by table saws every year. The government also has economists whose job it is to compute the cost of injuries on products that it tracks. Looking at those numbers for table saws, I learned that the annual cost of injuries on table saws is more than $2 billion per year. To put that number in context, the total retail sales of table saws in the U.S. is $200 million to $400 million. So, as a product, table saws are doing five to 10 times their purchase price in economic harm. I know of no other product that has such a terrible track record of injury. The Power Tool Institute, in its recent position paper, argues that voluntary standards are sufficient to protect users and that a requirement for safer saws would hurt woodworkers. Make no mistake, there are already plenty of rules relating to table saws — dozens of pages — all drafted by the industry to protect their interests. What the industry wants is to keep policing itself and setting standards that are in its own best interest, without consideration of whether they are in the interest of woodworkers or society as a whole. By way of example, I think it is clear that the guards offered by table saw manufacturers and required by the rules that they’ve crafted are there to protect the manufacturer from liability, not to protect the user from harm. The horrific track record of injury conclusively demonstrates that guards are not a sufficient solution to preventing injuries on table saws. They were, however, nearly 100 percent effective in preventing the manufacturers from suffering any liability when injuries did occur. Of course, every woodworker knows that traditional table saw guards were so poorly designed as to be almost unusable and therefore, predictably, rarely used. Even when it is being used, a guard doesn’t always prevent injury. According to data from the government, more than 30 percent of accidents occur with the guard in place. In response to the development of SawStop and in hopes of avoiding a rule from the Consumer Product Safety Commission, the industry recently redesigned guards and rewrote the rules to require a riving knife. While a riving knife is a step in the right direction (one embraced by SawStop years before the industry finally got on board), the new guards are otherwise no safer when used than the traditional styles and obviously don’t provide a solution to table saw injuries. Unlike guards, SawStop and other similar active injury mitigation systems have the potential to virtually eliminate devastating injuries on table saws and at a cost far, far less than the cost of the injuries. As a society, we have to decide what safety features are so important or compelling products should not be sold without them. For instance, cars are no longer sold without seat belts, safety glass or air bags. In general, the way this works is that a government agency looks at the cost of the injuries and the cost of some proposed remedy for those injuries. When the benefit of a proposed remedy in reduced injury outweighs the cost of the solution, the agency will generally move to create a requirement. The result is we as a society benefit from the new rule. The consequence of not making a rule where it is warranted is we all pay — the injured person in blood and the rest of us in higher taxes and insurance premiums to care for those injured and disabled by a dangerous product. Tellingly, the one party that does not pay more when there is an injury is the manufacturer. I believe that explains why the manufacturers are opposed to regulations to make table saws safer — they have to spend the money to redesign their products and gain nothing by eliminating injuries. Many people, including the PTI, say let the market decide — after all shouldn’t we be able to choose whether or not to spend extra money to buy a safer saw? If we just let people who couldn’t support themselves starve to death, or if we didn’t offer medical treatment to people who couldn’t pay, maybe this ‘user choice’ idea would have more merit. The problem with this reasoning is it does not account for the fact that one person’s choice to buy a dangerous table saw can impose a burden on the rest of us to pay disability to care for that person for the rest of their lives. I believe that the social covenant we have goes both ways — we take care of the injured, but we (society) in turn get some say in managing the risks that people will be exposed to. In the case of table saws, it is virtually incontrovertible that the cost of injuries occurring on current saws vastly exceeds the cost of adding technology to those saws to minimize those injuries. The PTI also complains that SawStop’s patents undermine the development of new table saw safety technology. What the institute doesn’t mention is that its members have approximately 1,000 times as many patents as SawStop, including many patents on similar safety systems. 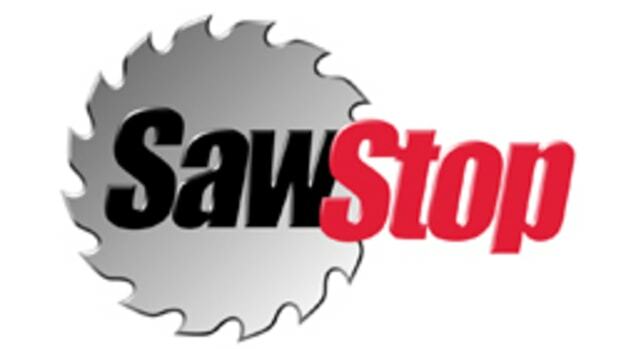 SawStop (of which I only own a small minority) has invested millions of dollars in developing the new technology that is incorporated in its saws. Of course, we want to protect the innovation embodied in its inventions and that is exactly what the patent system is for. What the industry is really complaining about is that it can’t just steal SawStop’s inventions without paying for them because the founders of SawStop knew enough about protecting ideas to patent them. The PTI letter also contains a number of other false statements. First, the assertion that the blade contact rate on SawStop is five times higher is untrue. The industry first made this claim in a presentation to the consumer commission in 2009, but it erroneously assumed that all of the accidents that have ever occurred on SawStop saws occurred in one year rather than over the five years they actually spanned and neglected to account for non-emergency room accidents on its own saws. In fact, the actual accident rate on SawStop consumer saws is nearly identical to the industry rate. Also, the royalty rate that SawStop has offered to license its patents for is 8 percent of wholesale, not retail. This amounts to a royalty of about $16 on a saw selling for $250. And what the PTI doesn’t say is that Ryobi and Emerson (who at the time made Ridgid table saws for The Home Depot) both agreed to an 8 percent royalty before they collectively decided to fight against the technology. The PTI also says SawStop won’t mitigate injuries from kickback. We have had more than a hundred reports of users contacting the blade after experiencing kickback on SawStop saws and in every case the injury was relatively minor. The PTI also exaggerates the cost of adding safety technology to its products. It has previously testified under oath that it would cost about $55 to add this kind of technology to bench-top table saws. In conclusion I’ll share a story that I believe powerfully illustrates the industry’s indifference to injuries on table saws. In 2000, just after we first publically demonstrated SawStop technology, I met with the president of one of the largest table saw manufacturers to discuss a license. He explained the industry’s immediate animosity toward SawStop as follows: “You’ve got to understand, no one in the industry likes you. You’ve created this big problem for the industry.” The “problem” he was referring to was not that tens of thousands of customers are maimed using its saws, but rather that someone had invented a way to virtually eliminate those injuries. To the industry, the advent of technology to address the flood of accidents was the problem, not the accidents themselves. While stunning from a moral perspective, it made perfect economic sense to him: why spend money to prevent accidents if the accidents don’t cost you anything. So the industry continues to work to protect its bottom line by raising objection after objection, no matter how unsubstantiated, without regard for the cost of the injuries its products are imposing on the rest of us. I think it is time for a change — time for woodworkers to no longer lose thousands of fingers to saws every year.